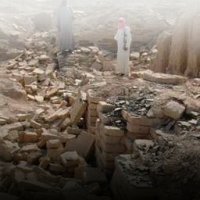 Echoing the call of UNESCO Director-General Irina Bokova, the World Heritage Committee has established a Special Fund to support Mali’s efforts to safeguard the World Heritage properties affected by the armed conflict in the north of the country, notably the sites of Timbuktu and the Tomb of Askia in Gao. The Fund will support the Government of Mali in assessing damage at the sites, and carrying out reconstruction and rehabilitation projects for the properties affected as soon as this is made possible by the security situation. It will also be used to reinforce the capacities of the managers of the sites and of local communities of Timbuktu and Gao. ‘The World Heritage label is given to sites of outstanding universal value, of importance to the whole of humanity. It is in this spirit that I call on the community of UNESCO Member States, regional organizations in Africa, other international organizations, and citizens everywhere, to contribute to this Fund,” the Director-General said. The World Heritage properties situated in the northern parts of Mali have been subjected to destructive attacks since they were occupied by armed rebel groups in April this year. In Timbuktu, nine mausoleums have been desecrated, including two at the Mosque of Djingareyber, the most important mosque in the town.